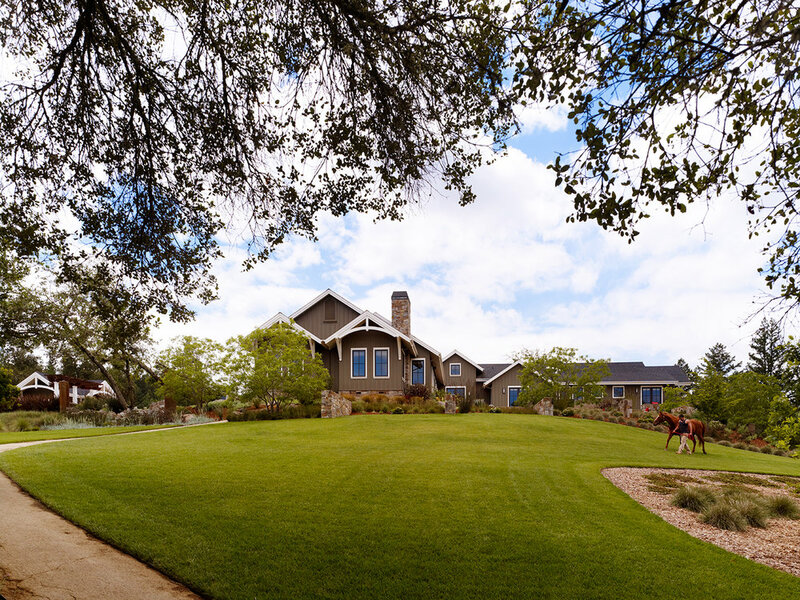 This Healdsburg, CA ranch encompasses a 7,000 square foot main house and three guesthouses, designed with a modern take on the American farmhouse vernacular, and surrounded by 12 acres of vineyards and a natural creek. 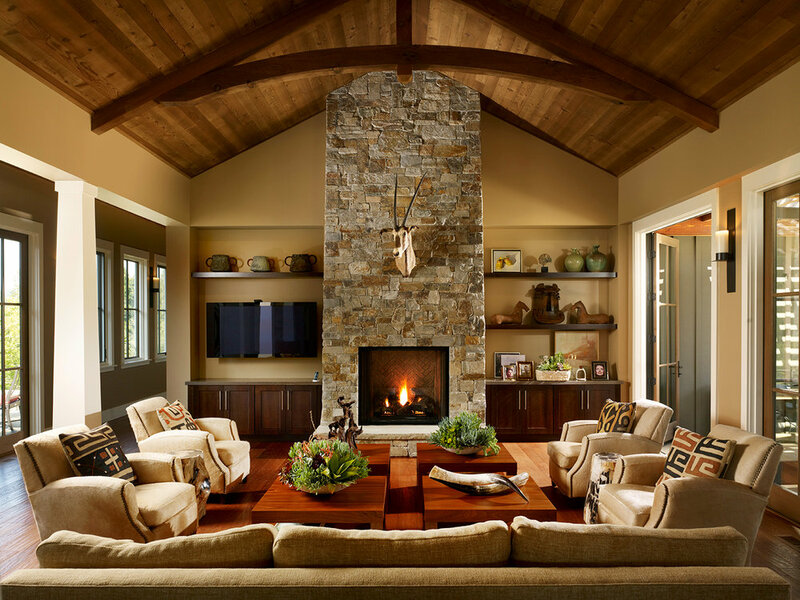 David designed the interiors to all speak individually to their design and functions, while maintaining the integrity of the overall theme of the ranch. The Main guesthouse has a relaxed take on traditional country style with a modern aesthetic. 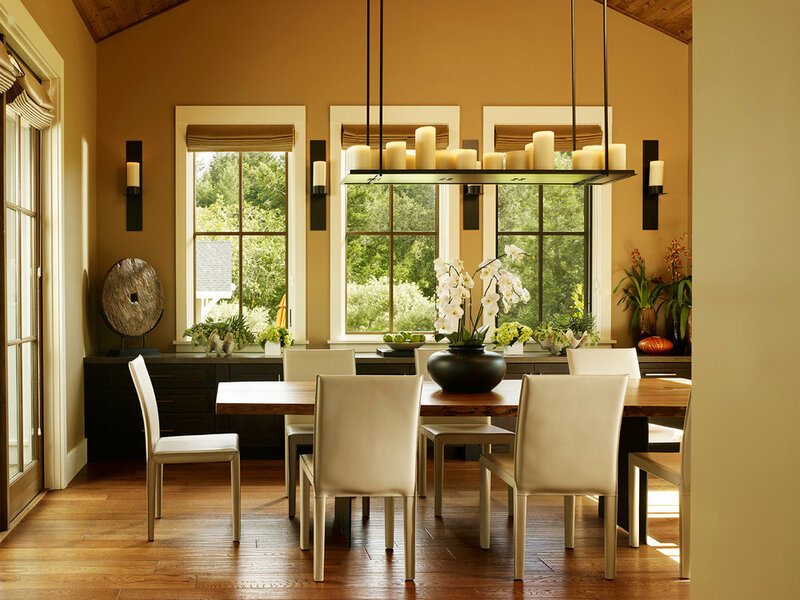 Through the use of custom designed rugs and furnishing, along with a mix of carefully curated European and American antiques, custom upholstery, and locally sourced artwork in hopes to create a modern country retreat for the well-traveled owner. The Barn guesthouse’s interior was inspired by the designer and owner’s passion for 1940s aviation. The vintage items, such as an airplane model, a French pedal car, and Union Jack flags, adorn the great room and play rooms. The Bunk guesthouse has a wondrous outdoor living space overlooking the Dry Creek Valley. The interior color palette was inspired by spring in valley; the yellow representing the mustard in the vineyards and the blue inspired by the spring’s clear blue sky after a morning rain. The Studio guesthouse, with a beautiful stone terrace, captures the sunset overlooking the property's natural surroundings. This dreamy bedroom features a beautifully tufted leather headboard, plush linen sofa, sparkling mirror finishes, and accent colors of India with orange silk pillows and warm cinnamon walls.